Vivekanantha Homeo Clinic & Psychological Counseling Centre, Chennai: Suffering with Jaundice liver, is there is any best homoeopathy treatment for liver Jaundice in Chennai, Tamilnadu? Suffering with Jaundice liver, is there is any best homoeopathy treatment for liver Jaundice in Chennai, Tamilnadu? Question: Respected doctor, am 25 years old man, am suffering with pain in stomach, nausea, vomiting, bloating abdomen, constipation, acidity, heart burn, pain in abdomen, loss of appetite, yellowish urination, itching on the body, yellowish eye, am suffering much bloating abdomen with pain in stomach, some time nausea and vomiting also. i underwent allopathy Treatment but no effect, Doctors told its due to jaundice, how jaundice affects? Is there is any treatment in Homeopathy system of medicines for jaundice? Doctor Answer: Dear sir, No worries, Homeopathy treatment helps for you, please find the complete details about jaundice below. Proper treatment helps you; you need to consult the doctor in person to rule out your doubts. In Jaundice, the skin and the front white portion of the eye turn yellow. It is a condition that takes place as a result of building up of a substance called Bilirubin. Newborn babies are more susceptible to jaundice, as it takes time for their livers to function properly. 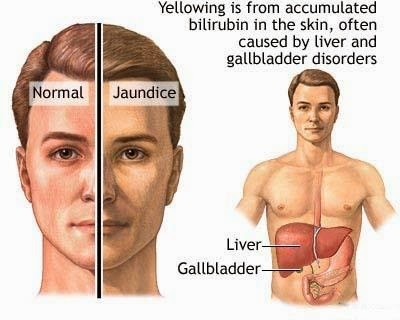 There are three kinds of jaundice that tend to affect adults, namely, Haemolytic jaundice, Hepatocellular jaundice and Obstructive jaundice. Symptomatic homoeopathic medicines works well for Jaundice, Homoeopathic medicines act well without side effects.